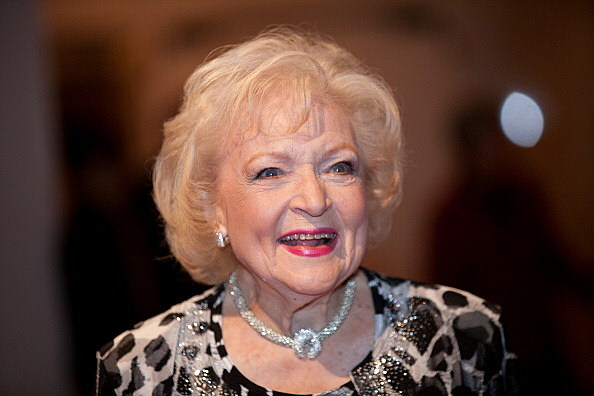 Opportunity To See Betty White At Her SOLD OUT Laughfest Show! Just In!!!!! Betty White's Laughfest Performance is SOLD OUT but you can still see the show! Tickets will go on sale Monday, March 7, 2011 at 10 a.m. for anyone interested in viewing a LIVE simulcast of Betty White's program during Gilda's Club Grand Rapids 10th Anniversary Celebration on Tuesday, March 15. Individual tickets for the simulcast cost $12.50 and will be available at ticketmaster.com (search LaughFest) or by calling 800-745-3000; tickets are also available at the VanAndel Arena box office. For anyone purchasing a ticket for the simulcast you will be entertained by on-stage guests, including Gilda's LaughFest Laughter Nanny Tim Cusack, beginning at 7:45 p.m. inside DeVos Performance Hall. White's simulcast performance will begin at approximately 8:20 p.m. This will be the ONLY place you will be able to see Betty White's full program outside of their 10th Anniversary Dinner Event.